Buy this Liverin at RM 96.60 (20% off retail) when you become a member of NewLife International. 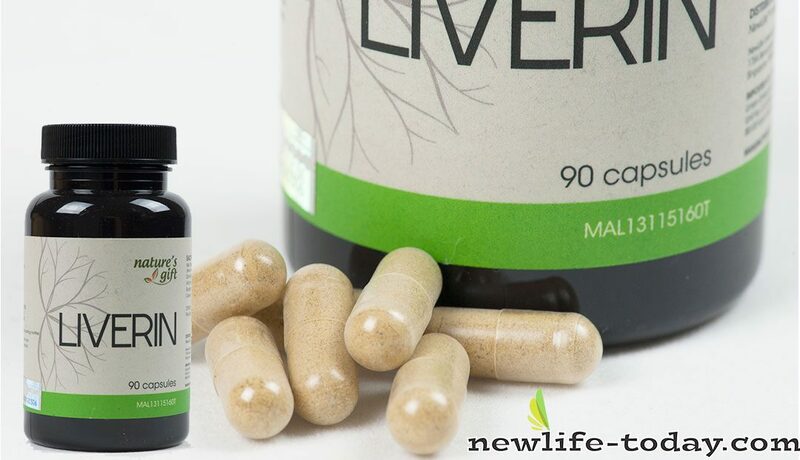 With 80% Silymarin, Liverin is an ideal blend of herbs – Milk Thistle Extract, Dandelion, Artichoke Extract, Burdock, and Celery Extract. It is produced using vegecaps and is suitable for vegans. It also contains no synthetic ingredients, no animal ingredients, and is all-natural and chemical-free. At NewLife, we stand by our commitment to developing products that are pure, natural, and effective for improving your health! Rebuilds liver cells and removes toxins. Powerful anti-oxidant and anti-inflammatory effects. Reverses liver damage caused by medicines, excessive alcohol consumption as well as the effects of pollutants found in the environment. Stimulates the liver to increase bile flow, which carries away waste and breaks down fats during digestion. Liverin contains a proprietary blend of herbs at the right potencies, which work synergistically to combat free radicals and oxidative stress, thus preventing the onset of many degenerative and age-related disease. As far back as 2000 years ago, milk thistle (Silybum marianum) seeds were well known to improve liver health. Discovery of the bioflavonoid complex silymarin with potent antioxidant properties, which is the active component of milk thistle, has led to the development of highly concentrated extracts that are standardized to 80% silymarin. Studies have shown that Milk Thistle aids in the cleansing of toxins, such as alcohol, regeneration of damaged liver tissues, stimulation of bile production, and improved digestion. This humble weed is a liver tonic that has actually been celebrated throughout the ages. Dandelion root promotes bile flow from the liver and is frequently made used by herbalists to help combat fatty liver, cirrhosis, estrogen dominance, as well as acne breakouts. The boost in bile production you get from consuming artichokes can be credited to cynarin, which can be really helpful to the health of your liver, gallbladder, and your digestive system. The bile that your liver produces assists to eliminate harmful contaminants and absorb fats. Artichokes also consist of the flavonoid silymarin, an effective liver protectant. Silymarin averts the process of lipid peroxidation from taking place in the cell membranes of the tissues of the liver, making the artichoke a perfect weapon in your toolbox to assist you in obtaining an optimum liver function. It promotes bile flow while assisting a weakened liver by cleansing the blood and restoring damaged cells. Lots of food and drug products are precursors to metabolites that cause direct damage to liver cells. The liver as an organ ends up being progressively inadequate in containing the damage as we age. There is a growing body of scientific literature dedicated to the hepatoprotective properties of celery extract, which promotes liver function and raises the ability of the liver to resist harmful metabolites. Those that are often tired and lack energy. Those who suffer from chronic and degenerative diseases. Those who consume alcohol, recreational drugs, or medications. Those that live a stressful lifestyle – emotional, mental, or physical. Those who suffer from IBS or other digestive problems. Those who are suffering from symptoms of hormonal imbalance like PMS, breast cancer, uterine cancer, etc. Those that are on estrogen therapy. Meat eaten at breakfast will initiate a complex of chemical reactions in the liver. Bile from the liver helps to digest the animal fat. Every second, three million red blood cells die and must be disposed of. The spleen breaks them down while the liver helps to salvage the useful component parts in order to build new blood cells. If you have a cut, you would bleed to death – were it not for the liver, which produces the fibrinogen and prothrombin that clot blood. The liver also produces antibodies that fight viral and bacterial infections. The number of hazardous chemicals in our polluted environment and in our processed food would poison us, were it not for the liver that detoxifies and renders them less harmful to the body. The liver is an inexhaustible store of essential vitamins, proteins, minerals, and sugar. It also handles most of our energy needs. When you experience any negative or excessive emotions (like anger, fear, etc. ), complex mixtures of hormones are produced. The liver helps to process these hormones before they can be neutralised and eliminated. Otherwise, these chemicals will be stored in the liver for months of even years, adding fuel to emotional imbalances such as depressions, anger or a suppressed immune system. With the billions of activities and functions going on in the liver, it can be hard to spot any malfunctions that aren’t major enough to be chronic issues. Common symptoms of poor liver health may include headaches, fatigue, hormonal imbalance, constipation, aches and pains, skin conditions, and allergies. These symptoms could be a sign of having a “sluggish liver”, which could go by undetected in liver enzyme tests. Liver functions can be impaired by severe liver disease, most commonly caused by infections (such as viral hepatitis), alcohol, drugs (recreational and medical), prolonged stress, improper diet, or accumulated poisons due to chemicals in foods and environment. Common liver diseases include fatty liver, hepatitis, and the failure of the liver to secrete bile because of gallbladder stones. Liver protection and support using natural herbs. Liver health is of utmost importance to the health of the entire body, and must not be ignored. Many natural herbs possess properties that are able to protect and enhance liver function. These herbs are also able to rebuild liver cells and stimulate the elimination of bile from the liver. Clearing bile from the liver helps to decongest the organ which is not only important to the health of the liver, but also to the well-being of the whole body.